Have a tough lineup decision or simply need a second decision? We’re here for you. Looking to clinch a first round bye…..
As Always appreciate the insight. Have a great Thanksgiving! 1. Our waiver order does not reset at the end of each week.. I have been holding onto the #2 spot in the waiver order for a while now waiting for something worthwhile.. Would you use this claim on Gus Edwards or do you think this is a one week wonder kind of deal? 2. I have held Ekeler for awhile now and I can’t decide if its worth it to keep holding him or try and trade him to the Melvin Gordon owner for a pick of some sort.. would you recommend continuing to hold? If not what pick value would you look for in return… i feel as though he’s sort of wasting a roster spot for me as a handcuff for a RB that I don’t even have. 3. I have Mahomes and after last night i’m starting to get some offers (Dalvin Cook and Winston for Mahomes was one of them for example) but I don’t know if I can bring myself to do it cause I am definitely a little biased and just really love Mahomes (held him since last year) and I feel like he can be a top 5 fantasy quarterback if not the QB1 for the next 10 years possibly… Should I try and sell him at a high or just hold? 1. Sorry, hope I’m not too late on this. Can always use the help desk/support if you have a timely question that needs answer. I was in the same boat and our wire doesn’t reset either in my main league. I was at the #1 spot and used it on Edwards. He’s a flier but what else could you ask for. If he has one more nice game … he could become a fixture. 2. He has been a bit of a clogger but I’d hold him unless I was offered a second round pick or a quality player that filled a need. 3. Sometimes you have to keep players you love. I have him as well in multiple leagues and am not trading him for anything. He’s young, has a huge arm and is easy to root for. Hold him. Thanks for the help on the rest definitely very insightful and gives me good player valuations for these guys. We had a great week, last week! thank you for your input! Last two weeks of regular season, and I can put a stranglehold on my division with a good week! 0.5 PPR with a benchmark bonus at 100 yards and bonus for long TDs. I also am starting Michael Thomas and Will Lutz. Part of me wants to spread things out and start Carson at Carolina, but west coast to east coast and noon start makes me nervous. But he has had extra rest since Seahawks played last Thursday. But it’s impossible to ignore the targets Smith got last week despite drawing zero the week before. And you figure that Saints-Falcons could be shootout, so starting any Saints would be favorable. After all that, I’m leaning Smith, but I’m not convinced. Thanks all season! 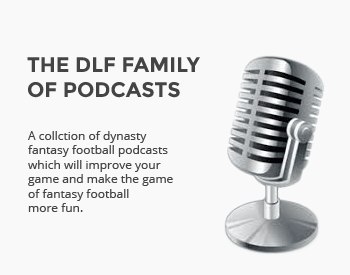 Looking forward to DLF Black Friday sale! Awesome. Had a couple of bad calls but glad it worked out for you. Carson for me. Not going to risk so many Saints for Smith. He could do well but I’ll take Carson. But if you want to watch ONE game and root like hell, he’s not a bad start. I’d prefer spreading it around. Nothing wrong with going with your gut here. Awesome, love your support and thanks. Hi Jeff, I need an RB, a WR and a Flex. PPR. The first four on this list make it real tough for me to even know where to lean. Need to see Edwards one more week. Funchess is in my doghouse even as a WR1. Thanks WS … appreciate it. Happy Thanksgiving! Lamar jackson vs OAK or Baker Mayfield @ CIN? I’m leaning towards Mayfield because he’s the safer play. Jackson’s upside is intriguing. I agree with you. I want to start LJax but would go Mayfield here coming out of the bye. Thank you, Jeff. Happy Thanksgiving! Leaning toward Coutee and Snead as the Ravens play the raiders and he has been more consistent than the other choices and it’s looking like Jones won’t play. Coutee and SNead for me as well. Only one that would challenge is Jones and he’s injured and out. Hey Jeff, Happy Thanksgiving. I have a couple questions for you this week. Thanks in advance for your time. The more I think about it, Howard may be the best bet bc of mitches injury. I like trequans upside but with a short week and a foot injury, he could easily have 2 catches for 30 yards. The safest floor may be Coutee but with my luck, Thomas will blow up this week and take over. Like I said, the team I am playing is a beast and I need all the help I can get because I need the win to set myself up for the playoffs. Thanks again in advance. He would be my #2 but I like the ceiling of Smith as long as he starts. And playing a juggernaut, you need ceiling plays even if it brings more risk. Tough call here. Moncrief could be the real spoiler but he’s tough to start. Smith for me, he looks good to go. WR Evans, ARob (gotta give him another shot at torching Det again), and Tre’quan (must start after 13 targets). So I think I’m set as long as Smith plays. My question is what if he doesn’t. Coutee or MVS? QB: No one else other than Stafford? Coutee but not happy about it. MVS burned me last week and Coutee has a nice matchup at home. Yeah we have a weird league where people value QBs like it was a 2QB league and I refuse to overpay. I have had Fitzpatrick and Tyrod as my 2nd this year and I tried to pull a trade for Lamar but couldn’t pull it off before the deadline. I also had Chad Kelly which was looking great for a bit until he remembered he was Chad Kelly. Anyway, yeah, I’m riding Staff at this point for better or (more likely) worse. Hi Jeff, I’m in a PPR and need some advice for this week. I’ve been 50/50 on all these players and i can’t seem to decide without some extra help from yourself. I’m currently running, Wentz, Julio, Antonio, Thielen, Conner, Olsen for my other slots. It’s all good … it happens Alistair. Always happy to chime in with my thoughts. Thanks as always and hope you have a Happy Thanksgiving! Yuck … roll dice, flip a coin, have your wife pick. All will give about the same odds of getting the correct two this week. Changing my mind here after further research, Njoku by a nose. Jeff, thanks so much for the help last week. Fitz was an efficiency machine! 2 catches, 2 TDs…I’ll take it! Won again, that’s 6 in a row now and sitting at 7-4 with my main team. In all likelihood I’ve clinched a playoff spot thanks to this run as I’ve scored the most points so I’ve got the tiebreaker on all the teams around me but I’d rather not rely on a tiebreaker and get that 8th win to cement it instead. Non-PPR – would you play Fitz, Kenyan Drake or David Moore? In another league I’m faced with bye week hell – Mahomes and Gurley both out, ugh!! Blake Bortles or Lamar Jackson? – I have to go Jackson here don’t I? Have an awesome Thanksgiving, Jeff. Enjoy the games! Yeah, would have liked to have seen more actual Non TD receptions too. But if you’re going to catch only two, make’em TDs. Congrats on the run … very nice. Fitz by a hair. At least you know he’s get looks inside the red zone. I have the same issue with Gurley and Mahomes. Ugh. As long as he’s starting, yes, start Jackson. I’m not so sure Bortles doesn’t get benched again. I think I’d go Fitz again here. Njoku just a bit too feast or famine for me in Non PPR. I want to start MVS and he has the ceiling of these players but I can’t trust him now. Pick 2: ARob @ DET; Corey Davis @ HOU; Josh Adams; C. Godwin vs SFO; DJax vs SFO; Shepherd @ PHI; DT vs TEN. Leaning ARob and Corey Davis, tempted to play Josh Adams over one of them. TIA and appreciate the hard work. 1: Davis and Adams for me. DJax is a very interesting feast or famine play and would be my third. Trubisky is down so I’m sitting ARob. If Trubisky starts, ARob over Adams. Njoku but Engram is interesting this week and his usage is getting better. ARob and Sanders. Want to say Tate over ARob but unless Trubisky starts, I don’t do that. I need to see Tate integrated first. Not sure about the RBs and TE this week. Leaning, Mixon and Chubb, but I like Mack’s matchup against Miami. Burton was terrible last week and Daniels may start, but OAK is in free fall, and Everett seems like a major gamble. sorry I see that Everett is on bye this week, so just Cook or Burton? Right now I’m leaning Doyle and Lamar. Lamar has the highest floor, plus if he gets some TDs has the potential to be a high end QB1 this week in a great matchup. Doyle I like because again has the highest floor. Njoku has killed me a few weeks I’ve started him recently. Plus I’m already starting Landry, and I’d hate to start 3 Browns in a must win week for me. Doyle – He doesn’t have the ceiling that Njoku does though. So if you want to swing for the fence, Njoku but starting three Browns is no bueno. Mayfield – Need to see one more week of LJax first. THat said, your reasoning on LJax is fine and you can trust your gut. He’s fun to watch. and it’s close. Thanks Jeff! Happy Thanksgiving to you as well! Really appreciate this insight. Choose 3. Ppr. The first three are who I have in now. Thanks for your help. I am sitting in 4th right now within reach of possibly 2nd and definitely 3rd if I win. Thanks again. Big Ben @DEN, Lamar Jackson vsOAK or Baker Mayfield @CIN? Russell Wilson @CAR or Lamar Jackson vsOAK? Ben for me clearly. I can’t bench him though anything could happen this week vs. DEN. Wilson clearly here too. Win or lose, these are the guys I start without regret and no lost sleep. Thanks Jeff… I’ll take that advice! I’ll be reaching out to you throughout the playoffs… I’ll also be extending my membership tomorrow… love this site! Thanks Ryan … much appreciated! QB: Luck – He’s been so good. Surprised me. WR: Golladay but this is a complete toss up. AJG looks to be in. If AJG is down too, Jeffery as my #2. Went 1-1 last week thanks to the genius move on my part of sitting Tre’Quan Smith in favor of Michael Crabtree. Ouch. Crabtree is done. 12 team, 0.5 PPR, 1 QB, Full IDP w/balanced scoring. RB: Choose 2 (starting Marlon Mack already). OR if you think Sterling Shepard is a better play, choose 1 RB, then I can go with 4 x WR and 2 x RB. Leaning towards Van Noy, Warner, and Bynes. Thanks for your help Jeff. Happy Thanksgiving! Hmmm … hopefully I didn’t suggest Crabtree there but how would anyone know Smith was going to do that. Herndon is a good play this week – I want to say Burton but TruBEARSky is down it seems. Van Noy, Warner and Bradham for me – Only because Bynes injury concerns me a bit. It’s a toss up though. Phillips for me for safety – No pun intended. 2. Smith – Watch the injury. If you don’t want his risk, Adams for touches. Not Tate and I want to see him integrated into their scheme and be productive first. Sutton is ok but lower ceiling. 1) PPR, I need to start one two of the following: Joe Mixon, Nick Chubb, Keenan Allen, Aaron Jones and Coleman. Leaning Chubb/Mixon but Keenan looked awesome last week. 2) 1/2 PPR, I need to start one player out of Leonard Fournette or Diggs. Fournette did me well last week but has a tough match-up and Diggs looked like a superstar again last week (on my bench)! 5) PPR flex, need one out of Josh Adams or Jarvis Landry? 1) PPR, I need to start two of the following: Joe Mixon, Nick Chubb, Keenan Allen, Aaron Jones and Coleman. Leaning Chubb/Mixon but Keenan looked awesome last week. Ah … didn’t see this response and saw the same thing. Funny … I read that as “Your are killing ME this year”. I felt really bad as I know that can happen sometimes. 2) Diggs but I hate sitting Fournette with that usage in .5 PPR. He’s not looking the same to me too. Everytime I choose Diggs, he hoses me. 4) I can’t go away from Landry here but if you started Adams, I wouldn’t flog you in public. Leaning towards Ingram and Baldwin, though Tre’quan Smith is quite intriguing to start at home. We’re thinking alike. Baldwin and Ingram with Smith as the spoiler. If you need pure ceiling and can handle the risk, Smith over Baldwin. Ingram’s matchup is too good to sit. Non PPR – C. Carson vs. Gus Edwards . and Engram, Njoku, or Brate at TE? Success is byproduct of doing what you enjoy, so never choose money over the opportunity to make a living doing what you enjoy. Money will find. If you need other wisdom statements, I have a thousand of them. Ask my daughter. McGuire – the .5 PPR helps and he’s getting the snaps. Golladay and Carson – We’re thinking the same. He’s locked in an RBBC but they like him at the goal line. This one is pretty simple. Coleman or Carson? I am leaning Coleman due to the high scoring possibility – but that hasn’t gone well for the last two teams to face NO. Agreed … Coleman for the .5 PPR angle and his known role. Carson splitting time equally with Davis and Penny. I like him well enough for a TD but Coleman will get the touches and has a chance. I have to choose 1 tight end between Greg Olsen, Evan Ingram, or Austin Hooper? Olsen for me clearly without any second thought. Hooper has been doing well. I picked him up late in many leagues and have been pleasantly surprised. It’s a toss up for me but if I had to pick today, I’d pick Wislon just based on Car being the better matchup. Njoku’s matchup is enticing but I think I’m leaning Olsen here just because of the safe floor. Wilson – Consistent and Wentz off that bad game could be an issue. two wr’s and a flex needed: Corey davis, Larry fitz, golden tate, C Sutton, sterling shep, peyton barber, Elijah McGuire (also just picked up brate and have mike davis & njoku but don’t trust them enough yet).. Leaning towards tate and fitz with barber as flex but if mariota plays davis would be strongly considered. any thoughts? Also, 12 team league and need a flex player from aaron jones, matt breida, allen robinson or duke Johnson (also have brate and ekeler but not really considering them) leaning with jones but breida has the better matchup so very unsure of best play. WR: Davis, Fitz – I’m not starting Tate until I see him integrated and producing in that new system. FX: Jones has to be the play. I don’t like him as much as most do but until defenses scheme for him properly, he’s going to keep producing. Non PPR though makes Breida almost equal. Jones has been so dynamic that I can’t pass on his ceiling. I have some free agency options so have wider choices here than usual. I don’t usually sit Rivers but thinking about here. Thanks for all the insight, enjoy your football and turkey day! QB: If you want to go high ceiling, Jackson is okay but I can’t sit Rivers for LJax. LJax will be a lot more fun to watch though. If it’s a really important game, I’m sticking with Rivers. RB: I actually think you can go Adams here. Howard isn’t a bad choice either against the Lions but I am concerned about the selling out to stop the run with Trubisky down. TE: Herndon for me. I really like the kid. Would you start Josh Rosen or Colt McCoy? I’d be concerned too and I wouldn’t risk it with Collins. I think the Ravens will want to see what Edwards gives them to see if he could be “it”. I’m not sure why they have soured on Collins like they do other than Collins doesn’t run as downhill as Edwards and he fumbles too often. Collins is still among the leaders in missed tackles and effectiveness. I’d go Kirk because I know he’s going to play but he could easily be out produced by Collins and Hooper. It’s still Kirk for me. That Hooper matchup is intriguing. After last week, I think you have to go Miller. At least you know he’ll get guaranteed touches. With MVS, he could go double digits again but his game cost me a very important game. I don’t really trust either, but I guess I’m leaning Hooper? Hooper pretty clearly for me. It’s going to be a major passing attack for both teams today and potentially very high scoring. Jones and Evans for me. I hate sitting Cook but need to see him produce and Jones and Evans are trending right now. You can’t sit either. I dont ask for much so i will try and make it simple. I am leaning smith because of the QB( brees) and defense(Atl) but it could be the Michael Thomas show today. This is the classic high ceiling, low floor play. I’m not starting Robinson with Trubisky down. This is literally a toss-up … a coin flip for me. I think Smith will be involved enough to start over Fitz to get a chance at that upside. The Falcons will be all over Thomas and Smith showed he could handle the targets. Fitz has a tough matchup vs Desmond King. I’d risk Smith as the start here. Are those Flex and WRs shared? If they all need to be different, then use Jeffery as the third. Not ready to start Moore yet if I have better options. But one more game like that and I think he can be an upside WR3. Thank you for all you do, Jeff! Thanks Jon … Happy Thanksgiving to you and yours as well! Love ya, Jeff. Thank you for all your help every season. Happy Thanksgiving to you and your family. D. Baldwin, E Sanders or DJ Moore. Need to choose 1. Leaning towards Moore. In a vacuum, the play is Sanders but his play of late has not been good. Since losing DT, they have shut him down. Baldwin has good upside this week as well. Both Sanders and Baldwin have neutral matchups where Moore has a + matchup. Sanders vs. PIT generally is good. Moore’s 13 targets in the past two weeks is good but he’s on the map now too. It’s a toss up between Sanders and Moore to me but I favor the ceiling of Moore a bit but his floor is lower. I checked expert consensus rankings, which I’m not participating in this year, and it’s 100% Sanders just so you know. I’m not afraid to go away from the ‘experts’ and do all the time. If I am the favorite, I go Sanders … if I need the ceiling, I go Moore. Evans and AJG if he plays. Sutton if he doesn’t. MVS is a possibility as well but his let down last week is an issue for me. 10 team 10 keeper ppr: need one for a flex play this week – Boyd, Sutton or Davis. Boyd is still ganering too many targets to sit. THat said, he really needs AJG back in the mix. I’m still starting Boyd here. For my FLEX I have Cory Davis, Sterling Shepard, and Gus Edwards. I feel most comfortable with Shepard but I would love to play Edwards, just not sure if he is for real yet. In PPR and only having one week to go on, it’s tough to start Edwards. I think he’s “okay” to start but there’s too much risk with role. I’m starting Davis here but his risk reward is only so so this week. I know his role as the WR1 and he’ll get the targets. If you want to start Shepard, you certainly can as he has the better team matchup. CB matchup is neutral. Shepard does benefit from off-coverage from OBJ which can make for a nice ceiling but his floor is too low for me to start over Davis. It’s close, but I’ll take Davis. I have to choose between Golden Tate and Courtland Sutton to replace him..
I’m leaning Sutton based on your previous answer where you said you want to see Tate integrated into the offense more before rolling him out but wanted to see again who your preference would be between those two? Also if Baldwin does manage to play do you still play him abover those two considering he may be hampered by a groin injury? I have the same type of decision in a must win game and now I will remove Baldwin either way as I can’t risk aggravation of the injury even if he does start. I will take Sutton here for known role while I wait on Tate. Tate has the higher ceiling but we haven’t seen him be successful yet and even the Eagles have said they are finding it difficult to integrate him into the scheme. That means Sutton for me. 1 of Drake, Brate, or Crabtree for flex. Currently down 18.9 to 0. He’s played two of ten, and I’ve played no one. I think I’m leaning Brate because he seems like a safer floor than Drake and my opponent had a rough Thanksgiving. Brate has averaged something near 3.5 FPs over the last 5 weeks with no touchdowns and Howard is clearly the preferred option. I’d rather take the upside to Drake given that his floor is also relatively low. His floor over those past 5 weeks is 5.8 and his high is 23.5. He hasn’t scored under 5 points since week 4. Ben for me. He’s almost matchup proof at this point with those options. Sanders though his floor sure has come down since DT left. I’ll stick with him here though and AJG looks to be out again as well. .5 PPR in a must-win matchup that should be a nail biter. Sorry to add. Also debating my TE position. Both seem to have good matchups. I’m starting Baker and can’t quite figure out whether that makes me lean for or against Njoku stack. Njoku for me but he’s carrying the “Q” tag again but should be playing. Oh, yikes. I’ll get fired for this one but I’m taking MVS. Defenses will roll to Adams which hasn’t stopped him from performing …. but MVS’s low floor bugs me and last week he burned me. But Tate hasn’t been integrated into the offense yet and carries too much risk. He’ll clearly step up at some point and this could be the week but I need to see it first. Gordon is the obvious choice if he’s playing, but we won’t know that until 4:00. Do I hold off until 4:00 and start Ekeler if Gordon is out (which is what I’m leaning toward doing)? Or, do I scrap that and start Breida? Thanks Andrew … we did. My mom is 94 and it’s the first time nearly the whole family has been together for Thanksgiving in over a decade. Hope yours was great as well! Breida for the known touches. He should be a workhorse today. Gordon I think will be up, I’m not concerned but I’m starting Breida either way for the touches. I did check the expert consensus rankings as well which I’m not participating with this year, and they show Brieda at 74/26 over Gordon. I agree in this case and I’m not afraid to go against consensus. I’m sticking with Engram this week though I’m excited about Herndon in the future. I hope your Thanksgiving was full of the three F’s..Family…Food & Football!! First time checking in with you this season but every year when it’s crunch time I seek your input as a valued source for those tough decisions. Non-PPR. 1 pt every 10 rush/rec. bonus @ 100 yd rush (same for rec @100yd). Bonus for TD’s 40 yr or over. I’ve been rolling all year with Connor and McCaffery while waiting for Chubb to get his chance. He has and looks good. (Exactly what I was hoping for when I traded into the back half of the 1st rd to pick him). Even though it’s non PPR, Connor and McCaffery are so involved in the passing game they provide very safe floors because of it. Leaning Sticking with them. At the same time Chubb has an enticing matchup with the really bad Cincy run D. However, not being involved as much in the passing game with Duke around, he doesn’t have that safe floor as the other 2. With what he has shown so far running the rock he can certainly make up for it going against a bad run D. Big division matchup for me. A win puts me in good position….a loss is a big blow to the playoff chances. Thanks in advance as always. Enjoy the games this week! Yes it was great, thanks Jeff. I mentioned this just above a couple minutes ago: My mom is 94 and it’s the first time nearly the whole family has been together for Thanksgiving in over a decade. It was great to get us all back together minus one brother who couldn’t make it. Hope yours was great as well. Glad you’re checking in and I’m here whenever I’m needed be it once a year or every week. I use MANY different sources for my valuation and even the top fantasy sites for their consensus rankings, always letting our members know when my choice differs. I’m not afraid to go against the expert consensus and have found that in doing so, I’ve been quite accurate. Those are three great choices this week at RB. Let’s see what we’ve got here. Conner – He’s an auto start for me in that format. He’s just too involved in PPR and Non. McC – Finally found his rushing groove with 4 TDs over the past four weeks, two in week 9. Middle of the road matchup vs. Hawks who have given up 3 TDs in the past three weeks. Chubb – Coming off a bye and had his best game in week 10. @Cin and their terrible run D. CIN has allowed two TDs per game in the last two games and 8 in the past 5 games. Tough call as I want to roll with the recent production of Chubb into a gameplan that should rely heavily on the rushing attack. The problem as you state is Chubb has the lower floor. Conner and McC purely for the safety aspect. McC is going to get his Non PPR points either way by churning out 50-70 yards in the passing game and the same in the run game. Chance for a TD in one of the two phases is solid as well. Chubb may have the higher ceiling here but his floor is much lower. Thanks again for the work you put in each week. It’s appreciated. 1) Need 2 flex from Michel, Sanders, Carson, LeSean, McGuire, and David Moore. I’ve lost Alex Smith in a 2QB league and couldn’t get Colt McCoy or Daniels on waivers. Did not play Stafford this week in that spot on Thursday so if he rebounds, I at least have a second QB for week 13. 2) Need one flex from Sanders, LeSean, MVS McGuire, or Baldwin (looks like a GTD). 3) 2QB league staring Dalton as my #1. Have Keenum, Rosen, and Allen available for the flex #2 spot. Carson is my second RB here but I did get Gus Edwards on waiver as a possible sub there. Just not sure if he’s a one week wonder yet. Also trying to get Still late tonight on waivers. Thoughts?? 4) Need two flex from Michel, Brown, MVS, Landry, Edwards, and GTD Baldwin again. 5) Currently have penciled in DJ and Carson as my RB1 and RB2. Need another RB from Michel, Mixon or Edwards or would you change Carson out for one of them? With AJG looking to be out, I’m leaning DJ Moore over either Sutton or MVS. Any input? 6) Finally, looking at either Michel or Crowell as my RB2 but need a one flex from McCoy, Shepard, Brown, Samuel, Westbrook, or Mike Williams. Sitting in the last playoff slot and really need the W here. TONTO … I haven’t forgotten you. Had to save you to the end to get some of the quicker ones out. 1) I lost Smith as well and was able to get McCoy who did okay for me. Michel and Sanders. McGuire is interesting this week and I hate not starting McCoy. Truth be told, it will be very tough to get the two correct ones here. 2) Sanders – The loss of DT is hurting him but he’s got the snaps and role to perform. MVS is the upside play but lower floor. 3) Keenum but Rosen is starting to come on. I’m starting Edwards over Carson this week. I think he takes over as the RB1. Carson is still only getting 30% of the snaps. 5) I swap out Carson for Mixon. Then start Michel as the third. VERY close between Sutton and Moore and the consensus experts (I opted out this year) rankings has Sutton. I like Moore for the ceiling. 6) Michel. McGuire is slowly taking over. Which Brown … I’m assuming John now as AB is an automatic start. If you have the luxury of waiting to see if Tyrell Williams is up or down … Mike Williams is intriguing if Tyrell is down. But I think I go Shepard against a leaky PHI D.
Good luck … you always challenge me with these start/sit questions. I really have to go to most all of my due diligence to make sure I don’t hose it up. Superflex, pick two out of K. Cousins, C. Wentz, and B. Mayfield. Cousins and Wentz are ranked higher but have risky match ups and I don’t have a lot of trust. Meanwhile Mayfield has a sweet match up with the Bengals. I also I’m in a must win situation. Thanks. I’m going chalk with Cousins and Wentz. CLE is just too much of a wildcard in a must win situation … and I expect a lot of Chubb running the ball. I like Mayfield’s upside but I can’t allow my playoff hopes to ride on him while I have Wentz and Cousins available. Hi Jeff – woke up and A.J. and Funchess are both out. 1pt ppr. I like Herndon this week. He’s really coming on. Half ppr…Now that we know Baldwin is active…should I play him or Godwin (I am already playing Brate)? Thanks much. Which 2 would you start from Kyle Rudolph, Elijah McGuire and Cameron Brate?